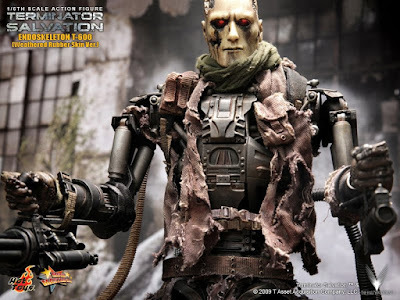 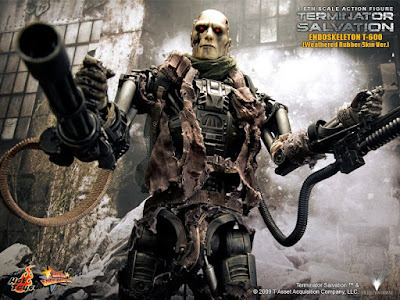 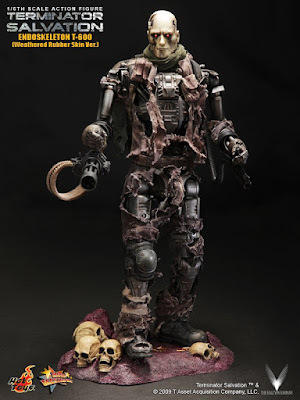 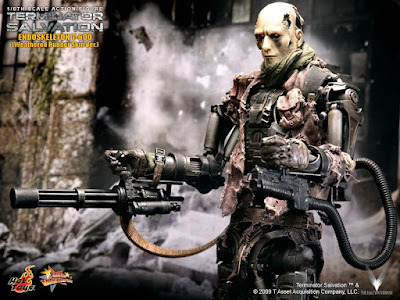 Pictures are appearing all over the net now of Hot Toys MMS 104 (Movie Masterpiece Series) Terminator Salvation T-600 collectible figure (Weathered Rubber Skin version). 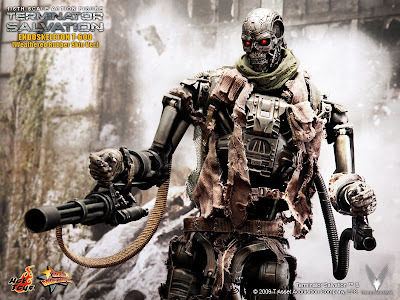 Hot Toys is proud to bring you the latest T600 figure from the "Terminator Salvation" movie - this early Terminator Infiltrator stands approximately 35 cm / 14 inches high and true to 1/6th scale. 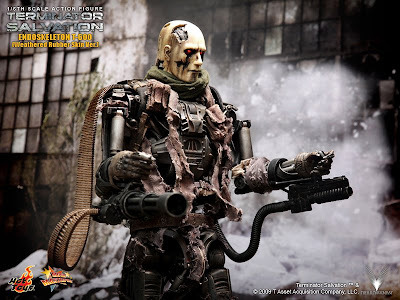 The easy recognized and weathered T-600 features over 25 points of articulation, removable and simplistic rubber mask, non-removable gloved hands and boots, tattered clothing to hide its endoskeleton with light up eye function (cell button battery operated- battery included). 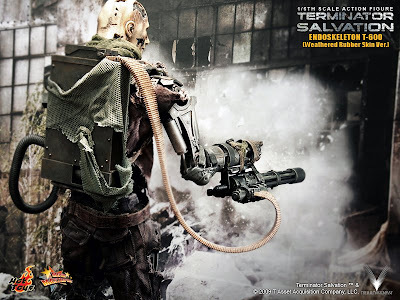 Accessories include Grenade Launcher, Gatling Gun and Ammo Pack with harness PLUS Environmental and skulls featured display base. 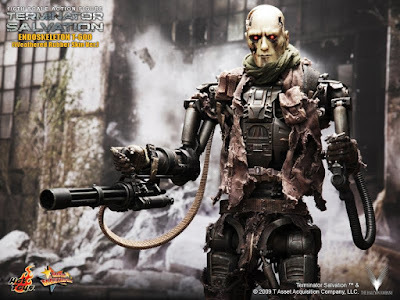 Order your 1/6 Terminator T-800 figure - click on the banner below!